We all know how important getting an oil change every three or four months is to the life of our vehicles. And I venture to say that very few of us deliberately ruin the engines of our cars by skimping on this regular act of maintenance. And yet it’s become a somewhat accepted practice to fail to properly maintain our carpets, particularly when it comes to regular vacuuming. This alarming practice of neglect began during the recent recession when many companies and schools, in an effort to cut costs, skimped on cleaning, especially vacuuming. Building service contractors were the first to sound the alarm about this reduction in cleaning frequencies, which is sometimes referred to as skip cleaning. There’s no doubt that adopting a “skip-cleaning” approach to carpet maintenance has had some degree of appeal. Reducing the vacuuming frequencies from five days to every other day or less seems like an easy way to save a dollar and trim a budget. But that approach doesn’t factor in the big picture. The unintended consequence of skip cleaning is hidden in the carpet pile. As the frequency of vacuuming is reduced, so is the carpet’s appearance and its useful life. There’s actually quite a bit of data that shows that a clean carpet will last a lot longer than a soiled one. And even if you ignore all of the scientific data, it just makes sense that a dirty, soiled carpet will wear out faster than a properly cleaned and maintained one. There are three main reasons people replace their carpet: the desire for a new look or design, the need to replace carpet that, over time, has begun to show wear and tear and carpet that has spots and soiling. A few years ago, Lew Migliore did some research for CRI. He discovered that some carpets never reached their full use potential; meaning, they were not properly maintained and had to be replaced after just a third of their design life or even earlier. And even though a carpet might have a contemporary design that will be in style for more than a decade, it can actually “ugly out” way before that time if it’s not properly maintained. “Uglying out” occurs when a carpet shows visible signs of graying in traffic areas, heavily walked-on areas, and pivot points, where turns are made, grinding dirt, soil, and grit into carpet. Graying occurs when the fibers are crushed, matted down, or flattened out. 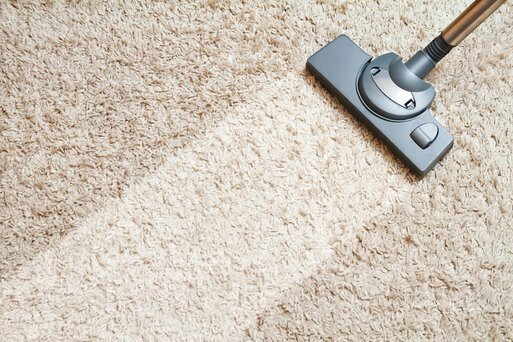 Then there’s the issue of a carpet’s “wear and tear.” When vacuuming is skipped, dirt, grit, and soil become embedded in the carpet and will be harder to remove later on. Not removing embedded soil from the carpet is a major reason that some carpets show signs of premature wear. Regular vacuuming prevents the deep soiling that ruins carpets. When a carpet does get worn or “uglies out,” many business owners and homeowners decide to take the easy, but more expensive, road of replacing the entire carpet. In my book, that’s a costly mistake that could have been avoided if proper maintenance had been practiced to begin with. There’s also the environmental impact to consider. We all know that carpet has a certain environmental footprint, and that carpet mills have worked very hard to reduce that footprint, as well as the amount of carpet that ends up in our nation’s landfills. When carpet has to be replaced way before its time, the environmental footprint of that carpet actually doubles or triples. And no one wants to be responsible for that. Some carpets, especially in commercial applications, are designed to hide dirt and resist soiling and staining, but that’s not an excuse to do away with regular vacuuming or periodic deep cleaning, for that matter. Reduced frequencies may meet short-term budget needs of the present, but they may compromise the life of the carpet in the future. As the economy is beginning to show signs of rebounding, it’s time to increase vacuuming frequencies back to pre-recession levels, before irreversible damage is done.